of Ghosts. The title is a reference to David Byrne and Brian Eno's Bush of Ghosts CD. Jones used their basic technique of integrating "found" vocals (pre-recorded at various times) into a newly created piece of music. The songs focus on archival recordings of Southern blues singers, and the gothic implications of their resurrected vocals. The CD caught the ears of film editor Glen Scantlebury who was completing The General's Daughter, a murder mystery set in the deep South. The dark tone of She Began to Lie was perfect for the opening section of the film, and the remaining cuts of the CD were also right for film's atmosphere. 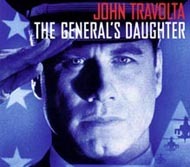 The title cut needed some additional scoring, however; the music needed to support a featured opening speech by the General (James Crowmwell) and then bridge to the appearance of John Travolta. Jones added a score for orchestral percussion and strings, and traveled to the Paramount soundstage to record the score with a 40-piece orchestra. Although the CD is still available,it is requested that you purchase or stream the original CD, Now There is a Tree of Ghosts, due to non-payment of royalties. In November 2000, Greg began working with director Simon West, editor Glen Scantlebury, and music supervisor Peter Afterman on music scoring the feature Tom Raider. The plan was to use source music (already licensed by Paramount) in several key action scenes, and supplement these cues with dramatic scoring for character development. Russian folk songs served as a creative source for Siberian scenes, and these themes were transposed and reworked for other dramatic cues. Composer Danny Elfman was brought in to contribute a main theme, but his work was shelved in favor of Jones’ cues. To everyone’s surprise, the dramatic scoring expanded to 45 minutes of the rough cut. At this point, late in production (March 2001) a bureaucratic shakeup began. The studio took over the picture and a new director and editor came on. Since Jones’ work was closely aligned with West and Scantlebury, his work was removed from the picture at the last minute. Final score credit went to Graeme Revell, who contributed a fine score in a very short time. 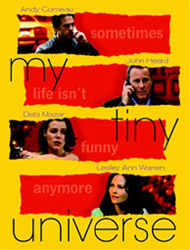 In June 2004, Greg completed scoring for a new feature film: my tiny universe, written and directed by Glen Scantlebury and Lucy Philips. mtu is the story of a struggling actor who sets out to commit suicide under the Hollywood sign, but finds out that cell phones, guns, and love are going to make some unexpected changes to his life. The film stars Andy Comeau, John Heard, Debi Mazar, and Lesley Ann Warren. It premiered at the AFI Festival to sold-out audiences and is now available on DVD. The music beautifully demonstrates Greg's ability to write in numerous genres. This is a richly textured work that combines background music with jazz and percussion. Greg, in fact, custom-made several of the percussion instruments specifically for this soundtrack. The sound track is now available at CDBaby.com, iTunes, and other authorized sites. In 2002, Greg completed scoring for a short film, Wrong Turn, directed by Steve Danton, starring Patty Duke and Noel Guglielmi. It has screened at numerous film festivals including the 2003 LA Shorts Festival.